Hasin Maksura Feroz graduated with a bachelor’s degree in Chemical Engineering from Bangladesh University of Engineering and Technology (BUET), 2012. Following graduation in 2012, she taught as a lecturer at the Chemical Engineering Department, BUET. 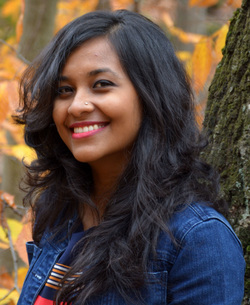 She joined the Kumar lab in fall 2012 and intends to conduct research on light-driven membrane proteins with possible applications in optogenetics, environmental cleanup and fuel/energy generation.